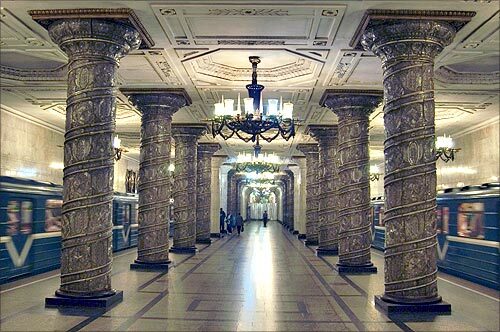 Opened in November 15, 1955, Saint Petersburg Metro is one of the most elegant metro stations in the world with exquisite artwork. It is one of the deepest subway systems in the world. The system's deepest station, Admiralteyskaya, is 105 metres below ground. Serving nearly three million passengers daily, it is also the 13th busiest subway system in the world.